I’ve been near-sighted since about the sixth grade, but I was in denial and held off getting glasses until I entered high school. I’m still near-sighted, but now I’m having problems reading the newspaper and restaurant menus too. 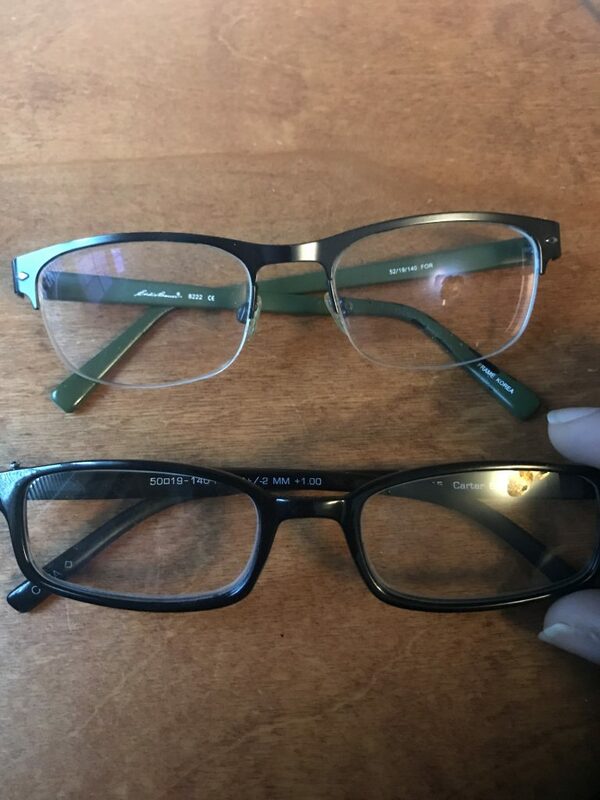 Walking the aisles at CVS last week, I stopped by the reading glasses section and bought myself a pair. So today I need glasses to see far away and I need glasses to see things right in front of me. The [labor unions and port operators] have always taken a “What’s in it for Me?” approach to negotiation, so absent some transformative change in how the two parties work together moving forward, a labor disruption will happen again, whether we like it or not, so start planning now for the port slowdown or shutdown of 2020. The president of the International Longshoremen’s Association on Monday asked members to hold off on a planned walkout that threatens to disrupt operations at some of the East Coast’s busiest ports. Last week, the head of the union’s Charleston, S.C., chapter in a statement claiming to represent “rank and file” called for a one-day shutdown of ports from Maine to Texas to allow members to rally in Washington, D.C. over jobs lost to automation and the use of nonunion labor at the Port of Charleston. “We cannot let this happen again,” is what the American Apparel & Footwear Association said in 2015. Those same words were also said when the ports were shut down for 10 days in 2002, and again in December 2012 when 600 clerks went on strike, shutting down the ports of Los Angeles and Long Beach for 8 days. Guess what? It’s going to happen again, so you better prepare. And as I wrote two years ago, the larger challenge facing the ports, especially in the United States, is the need to increase port productivity as larger ships replace smaller vessels. The next port crisis is in the works, and it’s being caused not by labor disputes, but by capacity and productivity constraints. And we don’t have the money, nor the luxury of time, to adequately address it. As a legal dispute ensnares Uber Technologies Inc.’s robot-trucking division, several startups are showing off their own efforts toward self-driving delivery vehicles that would reinvent the freight business. Embark and fellow startups Starsky Robotics and Drive.ai all emerged in the past week with details about their plans. Their engineers, bearing top artificial-intelligence pedigrees, are seeking a way to replace drivers in commercial fleets. San Francisco-based Starsky, which has raised $3.75 million, aims to work with freight companies by year-end to test trucks without human occupants on highways in states such as Michigan, Nevada or Florida. In the coming months, the company plans to conduct self-driving tests with humans on board, similar to the way Waymo has conducted more than 2.5 million miles of testing on public streets. But Starsky wants to start hauling real loads so it can collect revenue. Celect currently has about a dozen brand name clients, including Urban Outfitters and Zipcar, and plans to use the money to at least double customers and revenue over the next year. Two MIT professors, Vivek Farias and Devavrat Shah, founded Celect in 2013 based on research they had done around how to model the purchasing choices consumers make. In 2014, MIT’s Computer Science and Artificial Intelligence Laboratory named Shah’s predictive algorithms, which he also applied to car buying and Twitter’s trending topics, as one of the 50 most important technologies to ever come out of MIT. The startup’s cloud-based software helps the buying teams within national retailers deal with the “combinatorial explosion” of factors they need to consider when deciding which items to purchase, how many of each item to purchase and which stores to distribute the items to, according to CEO John Andrews. Customer decisions are governed by choice: what a customer purchases is both constrained and influenced by what that customer is offered. Celect uses comparisons between products derived from transactional, inventory, and online browse data to model choice. The more comparisons, the richer the model. As a simple example, if you purchased a red jacket when you were shown jackets in red, white, and blue, you’re indicating that you prefer red to white or blue. There are valuable and continual experiments going on with each customer interaction, with data that is generally thrown away – that is, what products a customer did not select but were also available. When we aggregate these individual preference models, the result is a much more clear and precise understanding of buying patterns across the chain, and down to a particular store/location, and even at the individual customer level. Still managing your supply chain with Excel macros? Yeah, good luck with that.